Last evening Whitney brought Eliza home. She got to spend her first night in her bed after 2 1/2 months in the hospital. According to her mom, she slept very well. Whitney heard her (really) cry for the first time as they got her ready to go and they were transferring her into her car seat. She loves being held and I think she was frustrated by the commotion involved in moving her from the hospital crib to the car seat. She must have been thinking "what is going on?". But she was easily calmed down. She's such a sweet baby. I can't wait to see her in her home environment. We have Allison for a few days while Whitney settles in with Eliza and gets down the first few feedings without nurse assistance. Lucky for me, Shelbie was on hand when Allison met Eliza for the first time. I wasn't able to be there so it was really important to record this sweet first encounter. I think having this clip will be important for Allison and Eliza as they grow. I'm so excited Eliza is home with her family. Thank you all for your prayers and comments. So many of you have cared about our new little baby and I wanted to share this special moment with you. That gives me goosebumps. I'm so excited for you all. Wonderful! Oh my goodness, Nanette, I'm so excited to hear this wonderful news! Allison is going to be a terrific big sister. Hugs to you and yours. So happy for your family. Looks like Allison is very happy with her little sister. That video clip is so sweet and I'm so glad you shared it. Allison's excitement was so fun to watch. :-) So good that Eliza is home. Such wonderful news that Eliza is finally able to come home. The video is so precious, brought tears to my eyes. Enjoy loving your beautiful granddaughters!!! Thank you for sharing your wonderful family moment with us. So happy for you. So much fun to see Allison's reaction. Eliza is such a beautiful baby, I love the b&w picture. Enjoy your time with Allison the next few days! Wonderful news! Thanks for sharing these tender moments. Thar was so sweet. I cried through the whole thing. Everything is good now that she is home. She has such long eye lashes. She is just precious. Yay, she's home. Just love Eliza's 'do and the excited big sis. I bet they will be the best of friends. Wonderful news, Allison is a lovely big sister for Eliza. That's wonderful news. Hope the first night at home went well. such a lovely video, really touching to see Allison's excitement, her body language with all those wriggles just shows how excited she is! one little angel meets another even tinier angel. so excited eliza got to come home. that's such a great sign! That was about the cutest thing ever!! She was so excited, I better hurry and finish up her dress now that she is home. So precious! That's adorable :) So glad she's home and with her sister!! That is the sweetest video and such a keepsake. Allison is going to be a wonderful big sister. Yes, I had happy tears for you all while I watched it. Hugs and prayers to you all. Thanks so much for sharing this with us all. How wonderful that she's going home...like anyone she will thrive in a more relaxed environment. Best wishes to them all! Lovely pics of a happy homecoming. Oh, Nanette, that is the sweetest thing I've seen all day! Allison is so excited and Eliza is so beautiful (so is her mother!). Now they can get down the job of real living. I cried tears of joy with you! 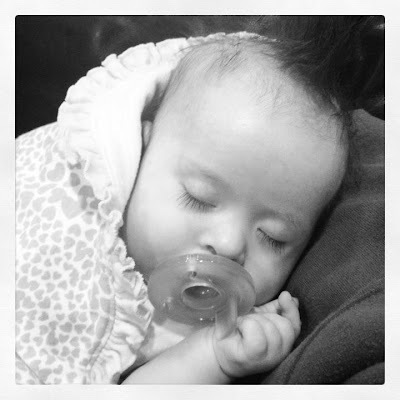 So wonderful to hear Allison's excitement to see her new sister HOME! Yipeeeeeee! What an amazing time!! I know everyone is thrilled and soooo relieved to have her home. I know it has been hard on everyone and now let the fun begin!!! I was tickled to hear Allison's squeaky little voice and see her excitement!!! Oh Nanette, What a very happy day! Thank you so much for sharing it! Oh happy day! Eliza is home with her family. I love the video of Allison meeting Eliza - wonderful! Happy news indeed. Blessings on this sweet family. Thanks Nanette for sharing this with us. What a joyous time Nanette! I am so happy that Allison was able to meet Eliza and Eliza will be sleeping in her own bed. Oh Fine Nanette. Now I'm sitting here crying like a baby! What a beautiful little video -- and treasured keepsake. I'm so happy the long awaited day has finally arrived for your family! Eliza will be their new little "sunshine" each day. As if, Allison isn't already. Beautiful! So happy to hear Eliza is ok and home. May the Lord bless her and all the family. Such good news! I loved seeing how Allison was so excited she could hardly stand it. She is already a great big sister! that video is just precious. thanks for sharing Eliza's homecoming with us.Brings tear to my eyes. Just so sweet. So happy an excited for everyone. I am cracking up over Allison laughing! Oh my gosh. Allison's complete THRILL over it all brought tears to my eyes. I think God picked her special to be Eliza's sister. Congratulations and best wishes to the family. Oh, Yay she's home sweet home where she can be full-time loved up by her mommy, daddy, big sis, and of course doting grandparents and aunties and uncles and cousins. Gosh, what a lucky baby! Thanks for sharing the video and the photos. It's good to see she is home where she belongs surrounded by love. oh my gosh, that was such a sweet video and I had to shed a little tear. Happy homecoming to Eliza!! Ohhhh, what a sweetheart! So happy for all of you! This video was so heartwarming. Thank you for sharing. Just catching up and was so happy to hear your good news! Best wishes to all of you. Nannette that clip made me smile, what a lovely first meeting that was. Congratulations to the whole gawjus family :o).